SO WHAT EXACTLY IS A WATCH WINDER? A question my daughter asked while on dinner table. Thing with being a parent, it tests your patience and measures your stored knowledge to the deepest core just to satisfy your children’s inquisitiveness. I know there’s such thing as watch winder but to be honest, I haven’t really cared much knowing about it more until my daughter threw me this question. Well, truth of the matter is that I’ve been a battery-operated quartz watch user all my life and there’s no way or need for me to acquire one, so why bother. Unless I’ll won a lottery tonight and get myself an automatic Omega Deville, then that’s only time I’ll get myself one of these gorgeous underwood watch winders. 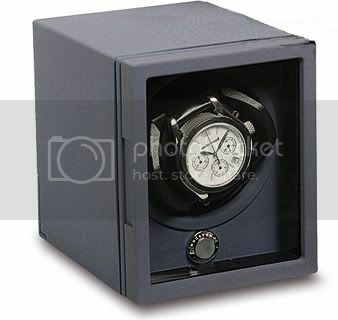 But for purposes of information, a watch winder is a tool used to keep automatic watches [they’re also known as self-winding watches] running. Unlike quartz or battery operated watches where the tik-tok stops as soon as the battery is all used-up, automatic watches work on a principle of winding or running themselves using this moving weight inside the watch. The movement of the wearer enables the weight to swing or rotate the winding mechanism inside the watch, keeping it in good form thus bringing you precise time. So to sum it all up, if an automatic watch is not worn, it becomes static and receives no power and eventually will run down. While these watches can be wound manually, that’ll be pretty inconvenient, hence, most automatic watch owners prefer to get themselves a watch winder that’ll mimic the movement of the wrist making the watch in good condition even if it’s not in use. Some watch winders are ridiculously expensive, but they’re the top device, anyone who owns another ridiculously expensive watch, to buy to keep their investment in shape. So there, I hope I answered the question.